This guest post from Cody is part of the “money stories” feature at Get Rich Slowly. Some stories contain general advice; others are examples of how a GRS reader achieved financial success — or failure. These stories feature folks from all stages of financial maturity. In January, I attended Camp FI in Florida. While most of the attendees were thirty- or forty-somethings pursuing early retirement, one young man stood out. We were all amazed at the presence of Cody Berman, a 21-year-old hustler who defies the Millennial stereotype. Cody works hard, saves tons, and has a vision for his future. I asked if he'd be willing to share his story with GRS readers. Here it is. When I turned eleven, I started my first job working in the snack shack at my uncle’s local disc golf course; I earned five bucks an hour. Throughout middle school and high school, I worked various jobs and saved nearly every penny. At age sixteen, I bought my first car with the money I had accumulated over the years. I still drive that car to this day. During high school, I took several AP courses and received college credit for them. If I had only known then what I know now, I would have taken nearly every AP course and CLEP exam available. When it came time to select a college, I was torn between Bentley University and the University of Massachusetts Amherst. I calculated that Bentley would have put me in approximately $80,000 of debt after four years but that I could attend UMass Amherst virtually for free. My frugality won. I chose the latter. I soon realized that in order to get a leg up on my peers, I needed an internship. I applied to nearly thirty positions and heard back from only one. That summer, I worked in a low-tier operations role at a small branch of a major bank. I came back sophomore year with increased confidence and a motivation to achieve the best internship possible. This time, I applied to nearly 35 positions and received responses from about 20% of them. Initially, none of my top prospects were interested in me. Then, one day in early April, I received an email from a private equity company who asked me to come in for an interview. Three interviews later and the position was mine. That summer, I commuted two hours each way to my internship and worked long days. I thought I was on my way to become a rich, successful investment banker. What could be better, right? During my junior year, I networked relentlessly and received offers from various top-tier investment firms. I knew that whichever firm I chose to work for following my junior year would probably be the firm I received a full-time offer from. I aimed for high-caliber, high-paying jobs in New York City. It was during this year that I discovered the financial independence movement and realized something important: Time is more valuable than money. Because of this newly-acquired perspective, I declined all of my high-powered NYC offers and chose to work for a financial firm that valued hard work, respected work-life balance, and compensated for overtime (extremely rare in the finance space). My friends and mentors all thought I was crazy for turning down the ultra-high-paying, high-stress offers, but I knew that I was making the right decision. Once I discovered the financial independence movement, I was immediately attracted to the idea of a side hustle. I wanted to unlock an alternative income stream to allow me to reach my financial freedom quicker. I took steps to start a t-shirt company and tutoring business, but both failed due to lack of interest and commitment. 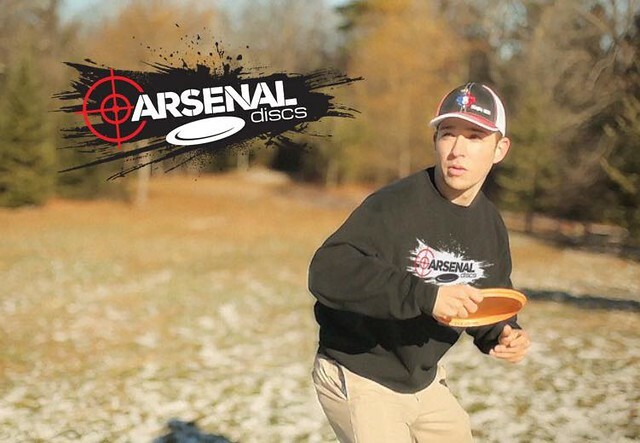 Eventually, I collaborated with James, a mechanical engineer friend of mine, and we created the ultimate side hustle: Arsenal Discs. Our company manufactures premium golf discs and equipment for the disc golf sport. My passion for disc golf, coupled with my business mindset, made me a great fit to run the finance and marketing arms of the business. My business partner James, who loves to design and create, complemented my weaknesses perfectly by taking over the technical, engineering side of the business. I see too many adults miserable in their jobs, complaining about money, and never having the time to do things. I've decided that this was not the life I wanted. I want freedom. This yearning for freedom initially stemmed from my resentment of authority and being forced to perform tasks that I found neither useful or beneficial. Financial freedom grants you autonomy to work on projects that you're truly passionate about. Once the need for a financial reward is eliminated, then altruism, passion, and authenticity foster motivation, not money. My goal is to have a deep impact on society and, ultimately, the world. Whether this be through financial consulting, global volunteerism, or content creation, I strive to change others’ lives for the better. I feel that the typical nine-to-five job won't grant me this satisfaction, and even if it could, I’d like to discover that career from a position of financial independence, not financial need. I'd also like to help other young adults discover the road of financial freedom. In my three years since discovering and advocating for the financial independence movement, I've had only one friend reach out to me for guidance. Most people in my peer group can’t be bothered with planning for their financial futures. They're just finishing college. They may have just accepted their first job offer. The last thing they have on their minds is their financial situation ten years from now. My advice to any college-aged reader out there is simple: Continue living on your college budget, even after you begin your career. As Jim Collins says, you can eventually reach financial independence by following one simple rule: “Save more than you spend and invest the rest”. A single, twenty-something with no kids can easily live on $20,000 or less per year by making educated financial decisions. With the average graduate salary just topping $50,000 in 2017, a young adult can start with a nearly 60% saving rate! Using Mr. Money Mustache’s shockingly simply math behind early retirement, and assuming income grows at the same rate as expenses, that person could reach financial independence in eleven years. That’s incredible! Luckily, I'm not alone in the path to financial independence. My girlfriend Lauren, who is frugal by nature, is 100% on-board with my plans. It’s hard to argue against the idea of financial freedom in five years or less! Plus, I have my mom Ruth to thank. She's turned me on to new blogs, podcasts, and other sources of information to add to my ever-growing repository of skills and lifehacks. She's been extremely supportive in all of my efforts, whether it's my studies, new ventures, or financial planning. I'm a firm believer in creating multiple income streams to diversify risk. At this point, I have my high-paying W2 banking job, my side hustle, and miscellaneous side jobs and weekend jobs earning me income. I plan to further accelerate my wealth accumulation through real estate (e.g. house hacking, live-in flip, etc.). Developing these passive and semi-passive income streams will allow my saving rate to soar. My hope is to work for less than three years in a traditional nine-to-five job. Instead, I'd rely on my (hopefully) successful side hustles and real estate ventures. Once I reach this point, I can put all of my time into passion projects, volunteerism, and traveling. I’m sure to make some mistakes along the way, but the goal of becoming financially independent at age 25 sounds too good to not pursue. Nothing that I'm doing involves prodigious intelligence or tremendous abilities. I’m not a genius. I’m just a guy who wants to truly enjoy life and extract as much value out of it as possible. All it takes is a game plan, hustle, and ambition. The rest will follow. It’s never too late to take back control of your life. There are 13 reader responses to "Money story: “I’m 21 and pursuing the path to financial independence.”". Oh man, super inspiring post, Cody! And yeah, a single, twenty-something with no kids can easily live on $20,000 or less. Here in Albuquerque, NM, where I live, we have a local rock-star of sorts named Don Schrader who lives well on less than $5,000 a year, and he’s one of the healthiest, happiest people I’ve ever known. He practices a very radical form of frugality that revolves around car-free living, a super simple diet (only raw plant foods), a 12′ x 14′ apartment home, clothing from thrift stores, etc. JD wrote about him years ago, but I think the previous GRS owners got rid of the post. And yeah, broad index funds (like VTSMX) and real estate (as in paid-off rental properties) are the best and most reliable assets a person can have — well, after owning your own business. Anyway, way to go!!! Wow what an incredible story! Love seeing someone so young have such a strong grasp of what they want to get out of life. Your reasons for pursuing FI are inspiring, best of luck on your journey! I recommend you also give thought to purpose or the lack of necessity will lead to nihilism instead of happiness. It sounds like you’re on your way with your side job. But at 25 pulling yourself from the work pool could have serious consequences for your maturation. There are just things you won’t have the time and age to experience that are most easily accessed in a workplace. To me retiring that early is much like homeschooling: potentially very positive but leaving holes you need to consciously fill. Great job with everything! I wish I knew about financial independence that early. I think you have an awesome goal. Keep at it and I’m sure you’ll get there. Have more financial freedom at 25 will free you up to do whatever you want. I’m sure you’ll find something good to do. Good luck! My big boost that got it rolling was buying and living in low cost housing and flipping. By far that set me on the path to FI. Being young, ambitious it’s the perfect formula to make money. Wow, this kid’s got a great head on his shoulders. Kudos to his mom too. It’s possible I *may* have gotten a bit teary-eyed reading that article ?????? Great post. Sharing with my daughter. I can feel how driven you are just by reading this post! Use your energy while you’re young to get a leg up on life. Don’t neglect real estate; by the time you’re in your 30’s like me it will have appreciated. Good luck with your journey! Awesome Cody, I love seeing folks like you who “get it” at such a young age. You’re a rare breed, but you’re setting yourself up for virtually guaranteed success! Overall, looks like Cody has developed a plan with the appropriate mindset and goals. Good job. College degree: What major? I’m assuming finance, or business with a specialty? Asking from the perspective of how wide a net/search could be made for a university, ranking of schools relative to costs, historical graduation and placement rates, etc. College budget: What’s the income/expense in a college budget, if you are advocating keeping that budget into full-time employment? Were there savings by living at home with parents, no commuting costs by living on campus, roommates in off-campus apartment, etc.? High-income job vs low-income w/ side hustle: what criteria did you use to prioritize the high-income, high-powered jobs vs a “normal” income job w/ side hustle? I’m wondering what the difference in total hours worked between the two options is, delta of incomes, potential commuting times, etc. Personally, I’m confused at the thought process, “I decided to decline the high-paying jobs because I wanted to work side hustles to try and make more money,” since I follow the bird-in-hand mindset. I didnt see anywhere he said he turned down high paying offers to make money on the side. he said he picked turned it down to choose instead a “financial company that valued hard work, respected work-life balance, and compensated for overtime (extremely rare in the finance space).” I also curious if you picked a finance company in the same area or a cheaper area. Good job Cody! I also wish I would’ve had those club options when I was in college at your age. Financial literacy is important so we can keep from making mistakes future generations made. I’m glad to see that so many people your age are starting to see that finances are important. You’ll be glad you learned and practiced once you hit financial independence! FI by 25? Wow, I sincerely wish you luck. I wish I’d started a lot earlier on the journey. But don’t let the FI part consume you, though. You sound like someone who cares about the world, other people… And you say you want to make an impact. It sounds to me like you’ll do that anyway, regardless of the money involved.